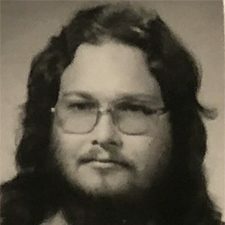 Melvin Lankford Shreves Jr., 50, of Cassatt Avenue died Oct. 4, 1992, in Nassawadox, Va. A native of Nassawadox, Va., he was the assistant manager of the NASA Wallops Visitors Center and a graduate of Hargrave Military Academy and Elon College. He was a founder of the Eastern Shore Railway Museum, a member of the Accomack County Board of Zoning Appeals, president of the Parksley Planning Commission, a member of the Parksley Town Council, a member of the Eastern Shore Chamber of Commerce and a member of the Greater Parksley Association. He was a former president of the Hargrave Alumni Association and a former president of the Parksley Lions Club. 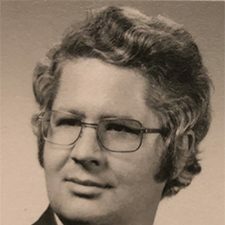 Johnny Northington of South Hill, Virginia, died in 1979. Johnny attended Park View High School with founding GM, Gary Wayne Evans. Johnny was quiet and shy and a great brother. He had musical talent and showed it as a songwriter and guitarist. His sly, humble wit was hilarious. Johnny was loved by all … a true gentleman. Captain Randolph “Randy” Stewart Worsham, 49, of Manassas, died Sat, Dec 7, 2002 at his residence. Born Aug 5, 1953 in Wytheville, he was a son of the late J. Norman Worsham and Ellen Sharp Worsham. Mr. Worsham was a graduate of Elon College, a member of Grace United Methodist Church in Manassas and was a Captain in the Army Reserve. 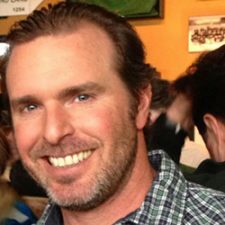 John G. Merkel IV, 46, of Wilmington, died following a courageous and awe-inspiring battle with cancer. 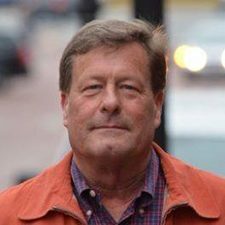 He was a lifelong Wilmington resident and a member of Saint Mary Magdalen Church. John was a 1979 graduate of Brandywine High School where he was a wide receiver on the Bulldog’s football team. 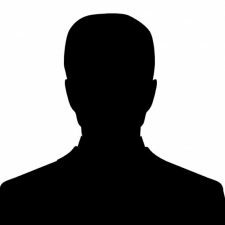 He was also a 1983 graduate of Elon University in N.C. where he was a member of the Kappa Sigma Fraternity and participated in intramural sports. 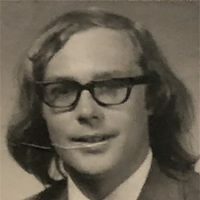 John had been employed by the IAMS pet foods company for the last 12-or-so-years, and previously worked with his father, John “Jack,” at John G. Merkel and Sons Medical, Surgical and Laboratory Supplies in Wilmington. He appreciated classic cars and enjoyed attending the Indianapolis 500 as well as other auto sport events. John loved mountain biking at the Brandywine Creek State Park and in Colorado and Utah. He enjoyed snowboarding and skiing with his family, and surfing at the Jersey shore and in the Outer Banks. He also enjoyed coaching his children’s soccer and cross-country teams. Following his diagnosis, John and his wife, Lisa, threw themselves into fundraising for the Leukemia & Lymphoma Society through Team in Training and marathon running. In addition, they established the John Merkel and Friends Drive for a Cure Golf Tournament to raise money for cancer research. A loving husband, father, and son, John was known for his sharp wit and his enjoyment of practical jokes. Michael Patrick Gallagher, Jr., known to those who love him as Gallie, entered into eternal rest Sunday, February 15, 2009. Gallie was born March 10, 1978, at Northside Hospital in Atlanta, Georgia, the son of Michael Patrick Gallagher and Nancy Askin Gallagher. He grew up in Marietta, attended St. Pius X Catholic High School, and graduated in the class of 2000 from Elon College, where he was an active member of Kappa Sigma fraternity. Gallie married the love of his life, Kathryn Dodd, on May 20, 2006. The two of them began their life together in Atlanta before moving to fulfill their dreams in Charleston, South Carolina. Gallie started his career in Atlanta selling outdoor advertising for Viacom Outdoor before transitioning into television ad sales with Cox Communications at WSB TV Channel 2. In April 2007, he accepted a position with WCSC Channel 5 in Charleston. The following year he launched a media consulting firm, The Ink Agency. Gallie loved the water, fishing, golfing, quail hunting, and spending time with his friends. He also loved traveling and vacationing with his family and two dogs, Lola and Hux, in the mountains and at the beach. 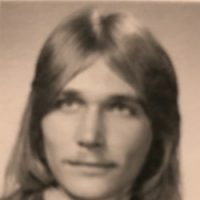 Mac Lewis, 58, of 3924 Lewis Road, died peacefully with family by his side on Saturday, Oct. 9, 2010 at his residence. Mac was the son of Ann Lewis Hunt and the late Jack J. Lewis. He was a member of Concord United Methodist church where he was a beloved choir member. 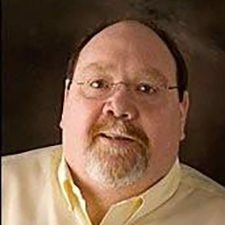 He was a former employee of Unifi in Yadkinville, N.C.
Robert Gregory “Greg” Gillette, 47, passed away Feb. 2nd 2018 after a courageous battle with cancer at The Denver Hospice in Colorado. Greg had a big heart, a wonderful sense of humor and was a loyal and honest friend. He exhibited a boundless energy for nutrition, dancing, and outdoor adventure. Greg adored Mother Nature and was an avid hiker and snowboarder. He lived from the west coast in Ashland, Oregon to the Rocky Mountains of Colorado to the shores of the Outer Banks of North Carolina, and made a broad spectrum of amazing friends in-between. Greg was born in Norfolk, Virginia in 1970, the son of Robert E. Gillette and the late Kay Koontz Gillette and was the youngest of three children. He grew up in Suffolk, Virginia and attended Nansemond Suffolk Academy. 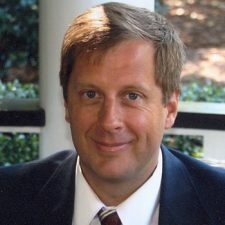 Greg earned a Bachelor of Arts in Business Administration from Elon University in 1992, and was a member of Kappa Sigma Fraternity. Greg also held a degree in integrative nutrition. Greg was passionate about healthy eating and shared his vast knowledge with the clients he counseled through his own business, Primal Radiance. Greg shared his best practices for healthy living on numerous radio shows as well, always striving to make a difference in people’s lives. On the morning of Friday, July 17, 2015, Eric Rider passed away after a valiant battle with cancer. At the time of his death, Eric was 48 years of age. Eric attended Elon University in Elon, North Carolina, where he was selected for the National Dean’s List, studied abroad at the University of London, served with United States Coast Guard Reserves and was a member of Kappa Sigma fraternity. After graduation with a B.A. Degree in Philosophy, Eric served as a police officer with the Roanoke City and Newport News Police departments. After law enforcement, Eric became an English instructor/lecturer for the Czech Ministry of Interior where he lectured at various police schools throughout the Czech Republic with a focus on social and cultural issues. 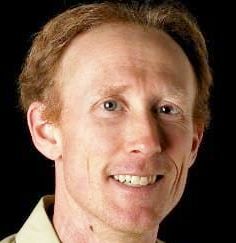 Eric taught at the ELS Language Institute in Seoul, Korea and the United Arab Emirates Ministry of Education. After returning to the United States and serving for a brief time in hotel management at Mohonk Resort in New Paltz, New York, Eric became a Sales Representative with Humana Insurance. For Eric, life was always a learning experience! He was an avid traveler with the “Road Scholar” program where he immersed himself in the cultures of many countries. He attended operas, frequented museums and found pleasure in the culinary delights in each visit! 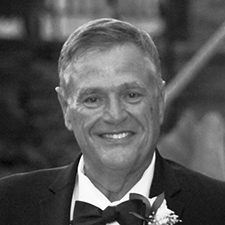 Joseph W. Barbee Jr., 67, of Raleigh, passed away on Friday, June 15, 2018. He was born July 15, 1950 in Kinston, North Carolina.He was a 1968 Graduate of Millbrook High School in Raleigh, where he was an All-Conference football player, and a 1973 graduate of Elon University, where he was a founding father of the Kappa Sigma Lambda-Lambda Chapter. In 1984, Joe founded Hi-Tech Fabrication with the late Fred Flowers. The company grew quickly and went on to enjoy a 33-year run of success prior to its closing in July, 2017 upon Joe’s retirement. Joe was a proud and passionate supporter of North Carolina State University. Through his involvement in the Wolfpack Club, he donated generously to the school, funding scholarships and other school activities and facilities, and worked constantly to improve the university. His love for the Wolfpack led him to travel frequently with the school’s football, basketball, and baseball teams. Joe was blessed with many, many friends, and his friends were even more blessed to have known him. He was universally known for his tremendous sense of humor, his boundless warmth and generosity, and his unwavering kindness and compassion. People will remember his laughter and his gigantic heart. He was one of a kind and those who knew him will never forget him. 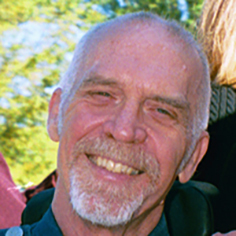 John Frazer Ferguson, 62, passed away on August 1, 2017. John was born in Morocco to Winston Armistead and Robert Ferguson during Robert’s service in the Marine Corps, and was raised in Kinston and Winston-Salem, North Carolina. He graduated from R.J. Reynolds High School and Elon College. John married Paige Carter in Annapolis in June 1988. He cherished their 29 year marriage and considered their children to be his greatest accomplishment in life. After two years of marriage in Raleigh, North Carolina they moved to Walnut Creek, California where they had their two children. After living in the Mt Diablo foothills for five years, John’s work brought the family to Virginia Beach where they raised their children for 22 years. He was a dedicated father and placed the most importance on his core principles in life; to live with an open heart and mind, always look for the silver lining, and to embrace struggles and use them for growth. He was a living example of the virtues he valued most. He had a genuinely kind soul and a zest for life that was felt by anyone he came into contact with. Throughout his college years, John loved flying his buddies around North Carolina in his Piper Cherokee Arrow. He felt most at home beside the ocean with his family and dog. 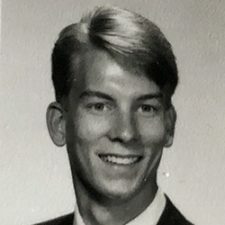 Mr. Zint was a graduate of Elon University where he was a member of Kappa Sigma Fraternity.He was employed at Honda Power Equipment Company and a member of the Mebane Investment Club.He was a member of the First United Methodist Church of Elon. JZ enjoyed shag dancing, live beach music, fishing and being near the water (lake or beach). He loved Ray-Bans, bright shirts and driving with the top down. He had great love for his family and friends. 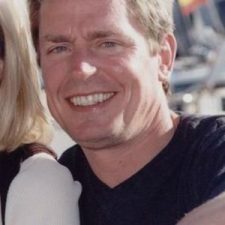 Mark passed away on 5/31/14 He loved his family, golf, Elon and poker. He lived life to the fullest. He put 150% into everything he did and it showed. A Mark Foley Memorial Scholarship was established in 2015 by the friends of Mark Foley, Elon class of 1993. This scholarship is designated for a deserving member of the football team, with first preference being a player who entered the program as a walk-on and worked his way to a scholarship and with preference going to someone from the Northern Virginia/Maryland/D.C. Area. 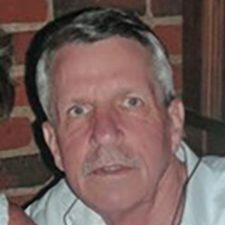 Thomas Preston Jackson, age 64, of Salisbury, died on Sunday, May 7, 2017 at Johns Hopkins Hospital in Baltimore. Born in Richlands, VA on August 19, 1952 he was the son of the late William Gillespie Jackson and Betty Patteson Jackson. He was a 1970 graduate of Richlands High School. Following graduation he attended Elon College where he earned his Bachelors of Science degree in Chemistry. Tom began work with Max Ward Delmar Studios as a Photographer. He continued in photography and sales with Lifetouch National School Studios until his retirement in 2015 after 36 years of service. Tom enjoyed spending time outdoors; hunting, fishing with ‘the boys’, golfing and boating. He loved spending time with his family especially at the ‘Bay House’ and on countless Jackson Family beach trips. He was a member of the Green Hill Yacht and Country Club.